If you've been following Ethan Hawke's career in the last decade or so, then you know it goes something like this: have long compelling conversations with Julie Delpy in one of the Before movies, horror movie, horror movie, chat with Delpy some more, and do another horror movie (this time, in the same year as the third and final Before movie). This is, of course, with the exception of the gems, Before the Devil Knows You're Dead and Brooklyn's Finest. But I have to say, I kinda dig it. It's because Ethan Hawke, who I still think is one of the most underrated working actors today, chooses smart horror movies, playing characters whose intelligence supersedes their predicament. He's usually in a position of wonder and analysis, rather than your typical male hero who is more concerned with saving the day than examining what led to the singular event. If on one night every year, you could commit any crime without facing consequences, what would you do? 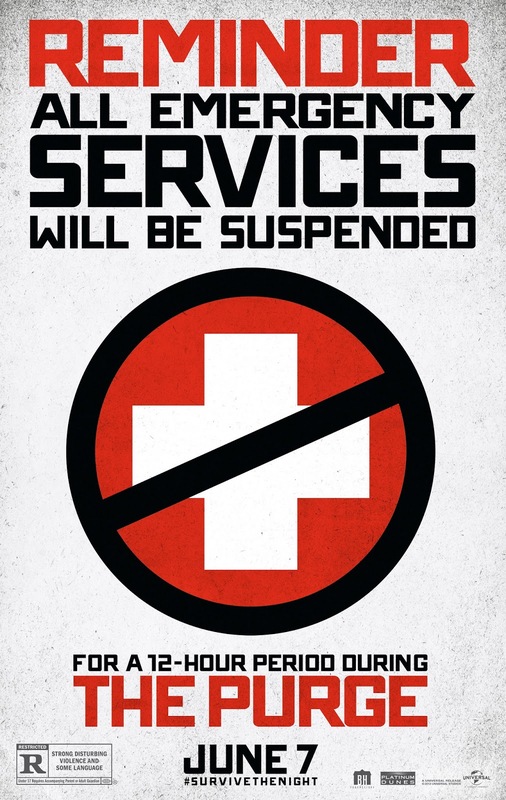 In The Purge, a speculative thriller that follows one family over the course of a single night, four people will be tested to see how far they will go to protect themselves when the vicious outside world breaks into their home. In an America wracked by crime and overcrowded prisons, the government has sanctioned an annual 12-hour period in which any and all criminal activity—including murder—becomes legal. The police can’t be called. Hospitals suspend help. It’s one night when the citizenry regulates itself without thought of punishment. 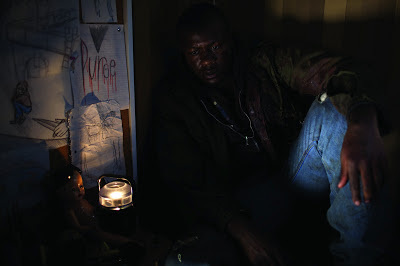 On this night plagued by violence and an epidemic of crime, one family wrestles with the decision of who they will become when a stranger comes knocking. When an intruder breaks into James Sandin’s (Ethan Hawke) gated community during the yearly lockdown, he begins a sequence of events that threatens to tear a family apart. 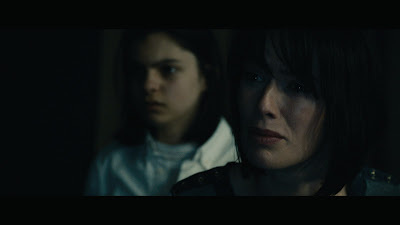 Now, it is up to James, his wife, Mary (Lena Headey), and their kids to make it through the night without turning into the monsters from whom they hide. The film is written and directed by James DeMonaco, whose previous and only other directing credit is the little known 2009 film titled, Staten Island, New York (in which Hawke also starred). DeMonaco also wrote the 2005 remake of Assault on Precinct 13, starring Hawke. I'm a sucker for movies that take place in one night (and, apparently, so is Hawke, who also starred in the 24-hour films, Training Day and had that looooong talk with Delpy in Before Sunrise). And I'm even more drawn to interesting horror films that aren't just about blood and gore, but actually have something to say. This James Sandin character seems to be a fitting role for Hawke, who jumped at the chance to work with both DeMonaco and Blum again. "Jason [Blum] has a real old-school independent spirit, and that’s what I loved about working with him again," Hawke said. "The restrictions of independent film, in terms of budgeting, often breed real creativity. That was the case with The Purge.” I'll also add that smaller budget horror, done well, appears far more authentic. I'm not familiar with Headey as an actress, but as a fan of TV's "Parenthood," I can vouch for Max Burkholder's talent (he plays Headey and Hawke's son in the film). I'm really looking forward to this. 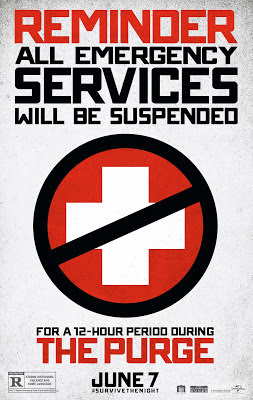 THE PURGE hits theaters June 7th. I never even heard of this and first saw the trailer in the theater last weekend and it LOOKS GREAT! #Traidar say YES!